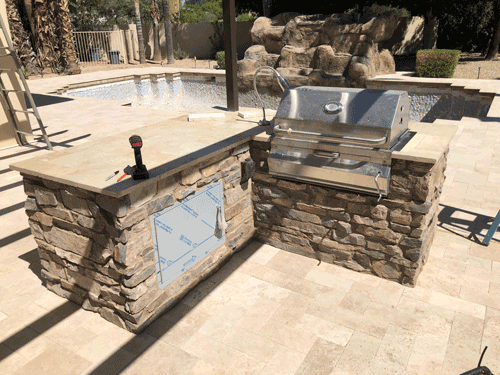 ***If you are using Internet Explorer and having trouble viewing the pictures, please go to Tools (Alt-x), then click on "compatibility view settings", click the "add" button to add azdesertscapes.com to compatibility view settings and click close. 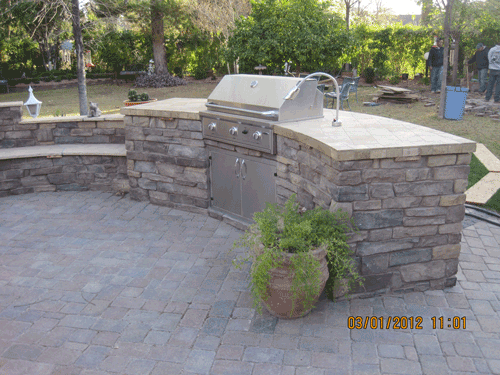 Refresh the webpage and you should be able to view the pictures as normal. 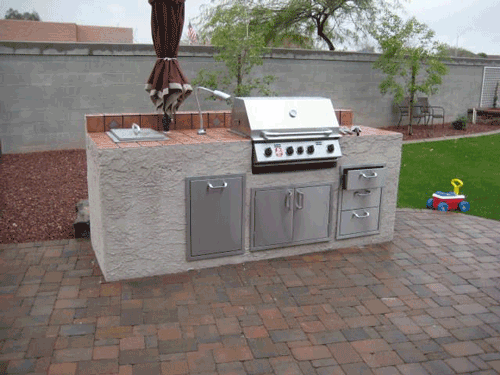 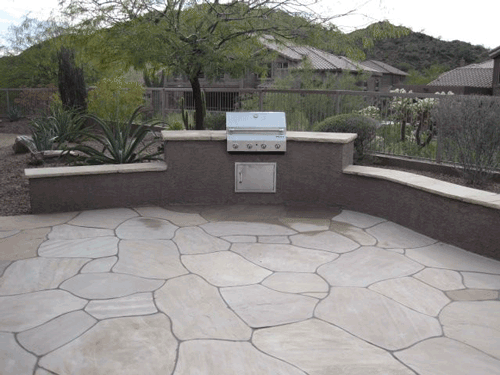 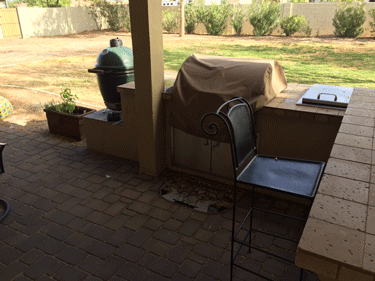 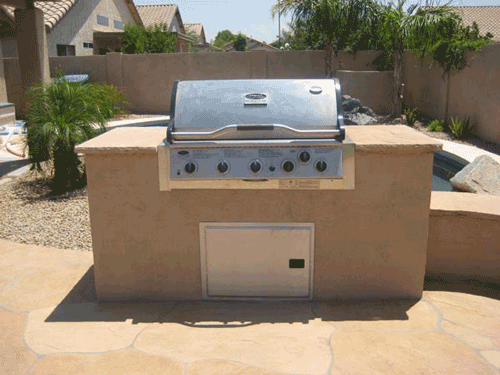 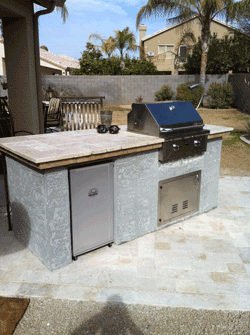 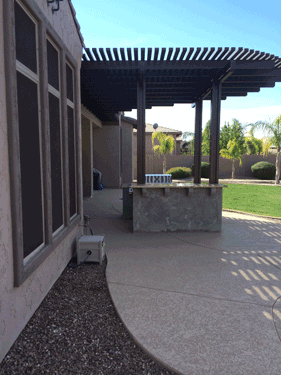 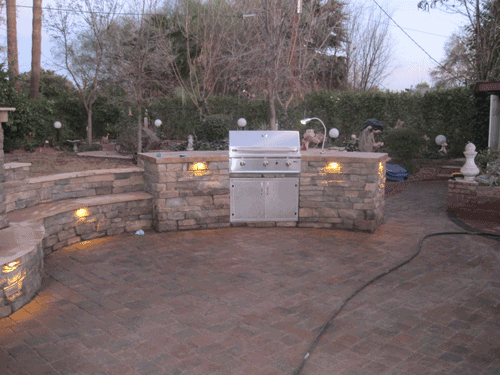 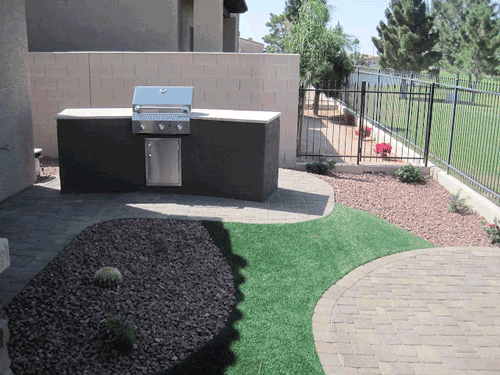 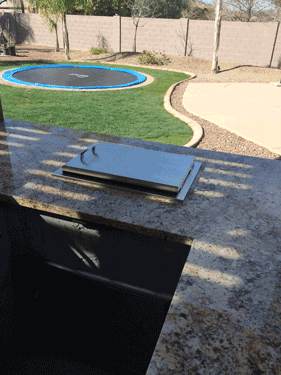 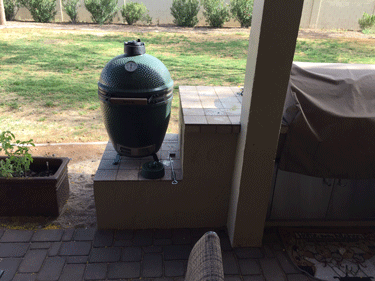 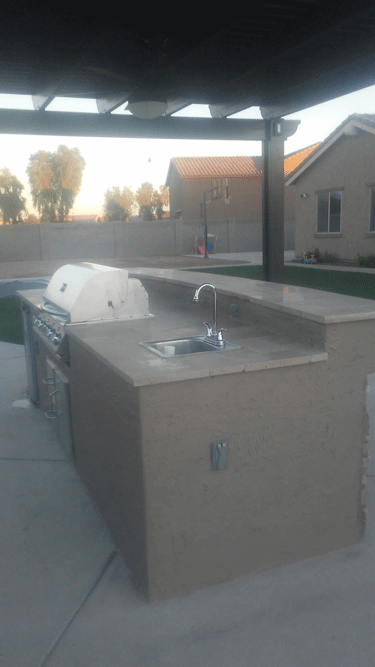 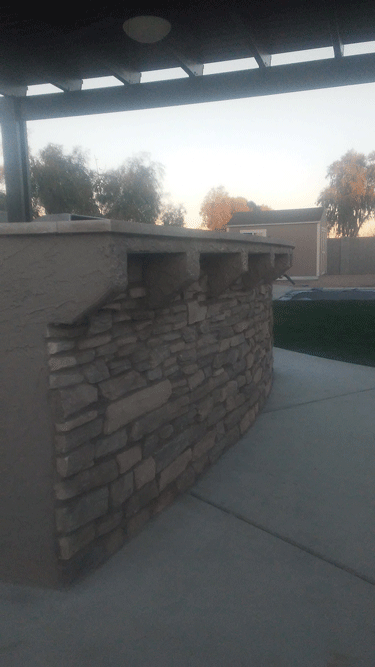 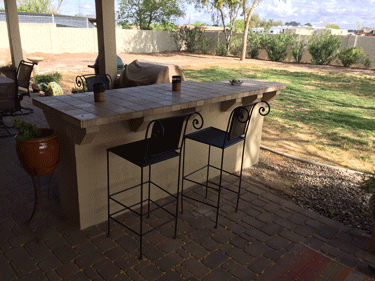 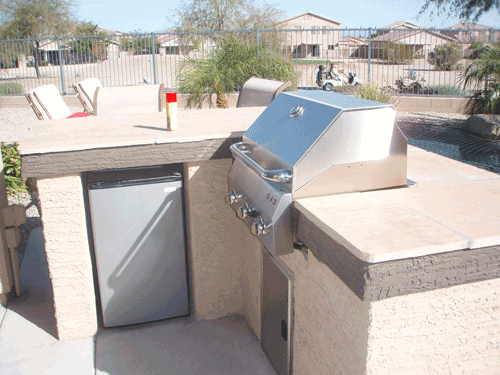 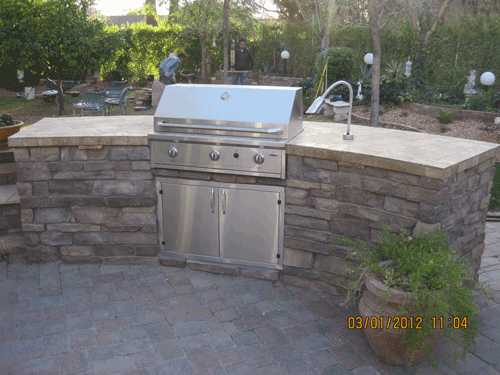 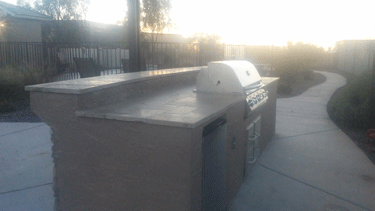 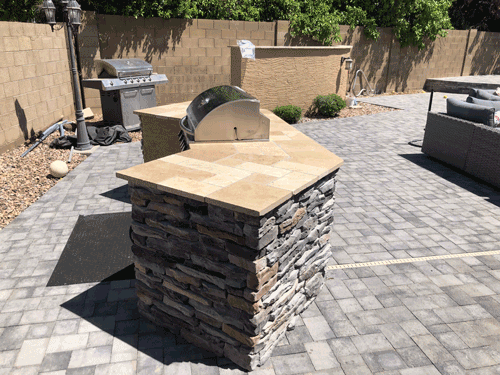 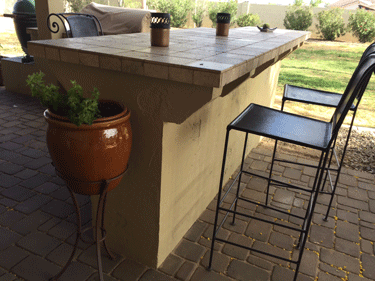 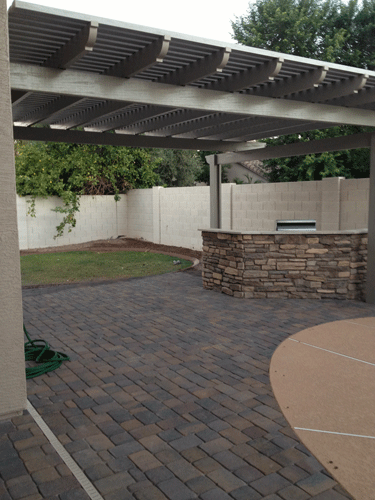 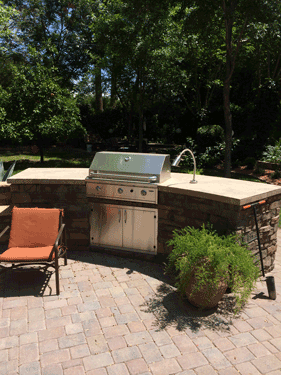 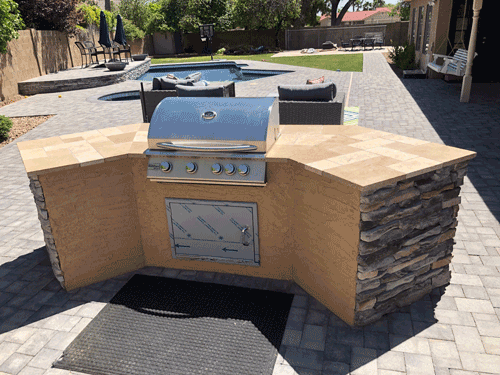 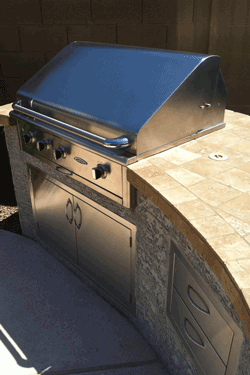 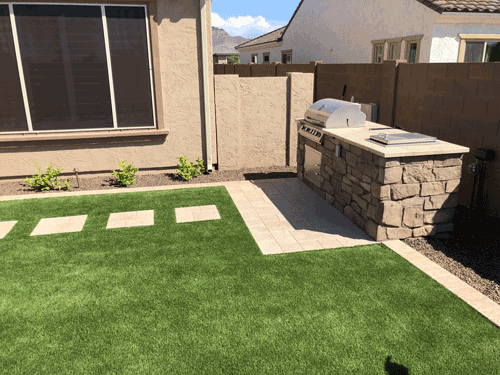 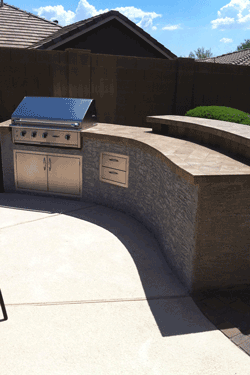 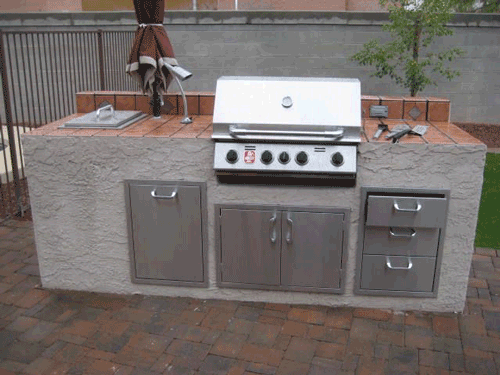 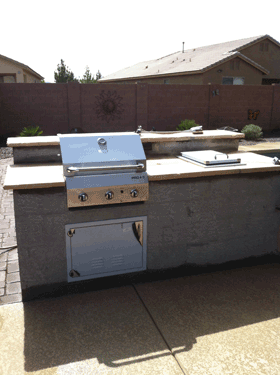 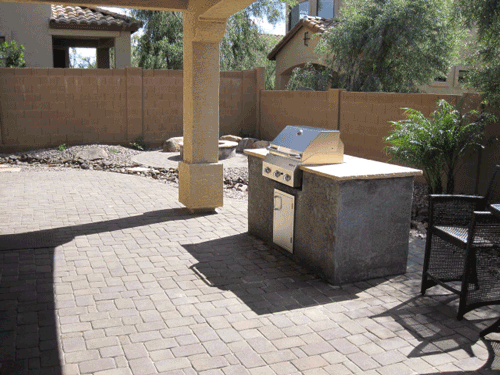 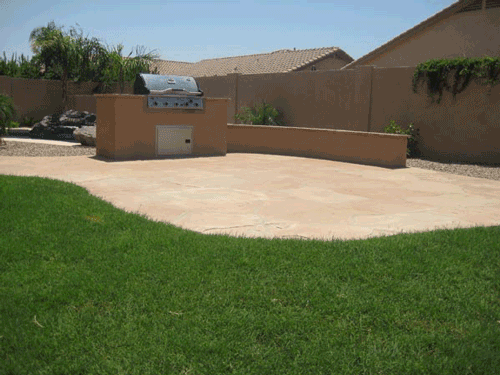 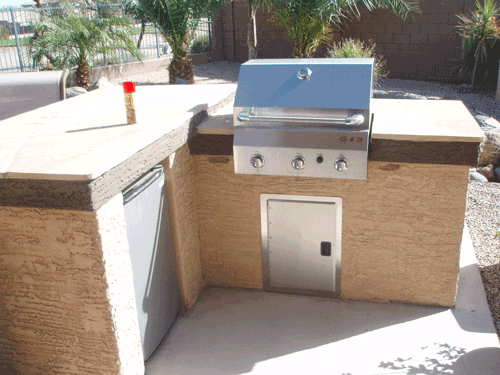 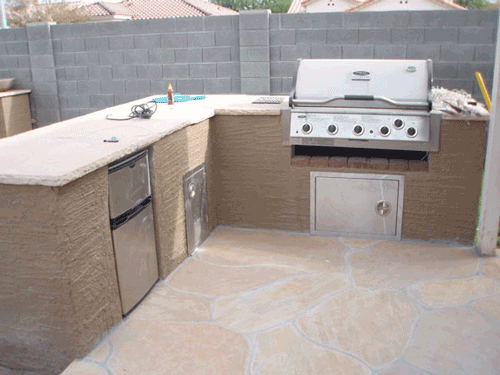 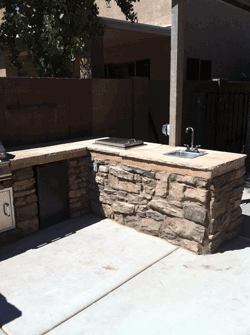 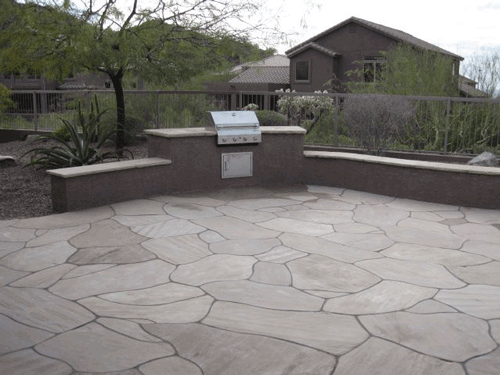 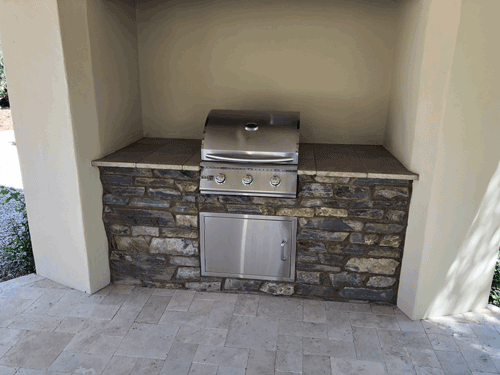 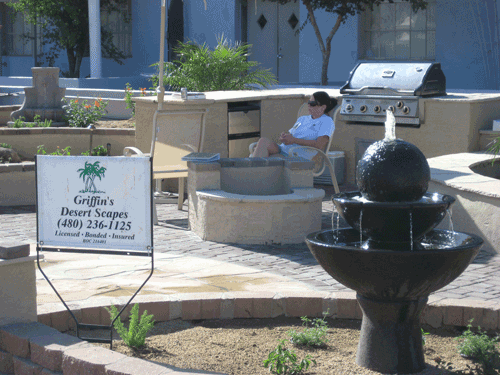 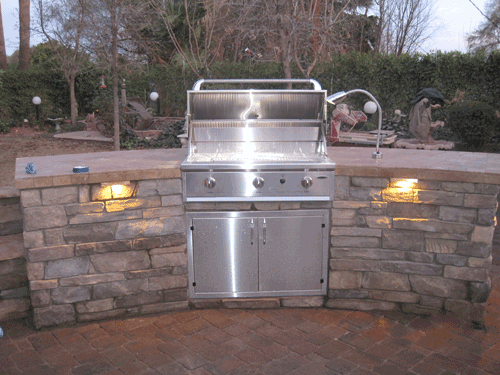 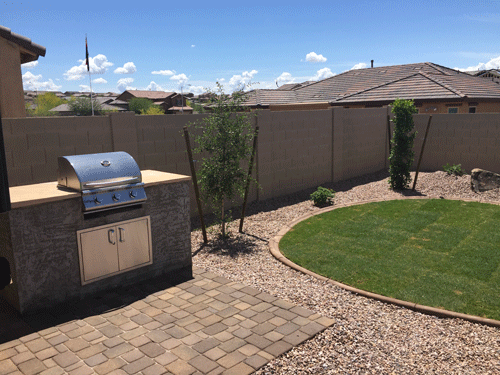 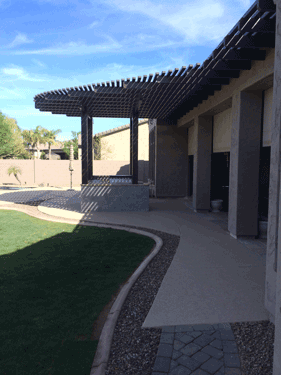 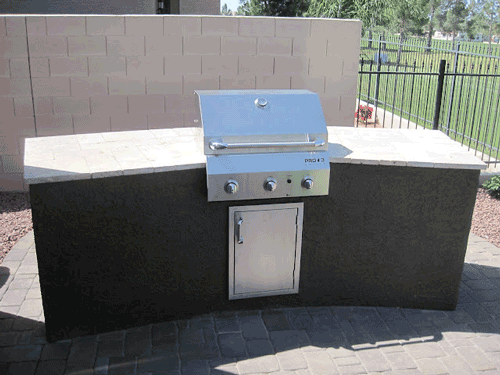 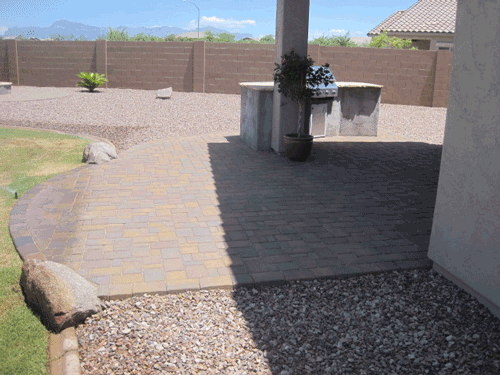 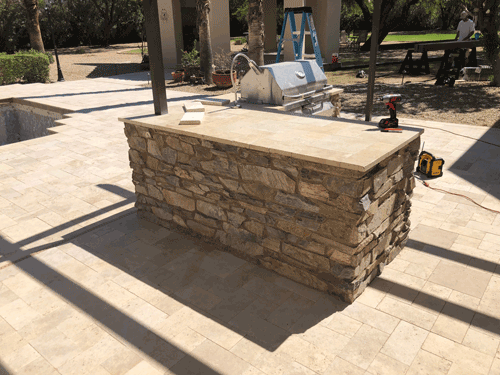 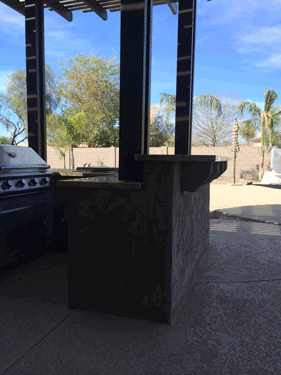 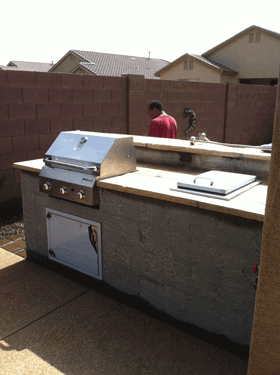 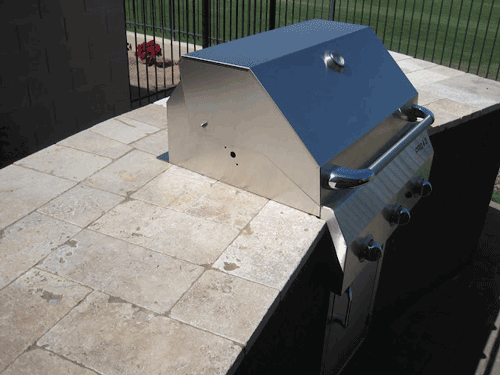 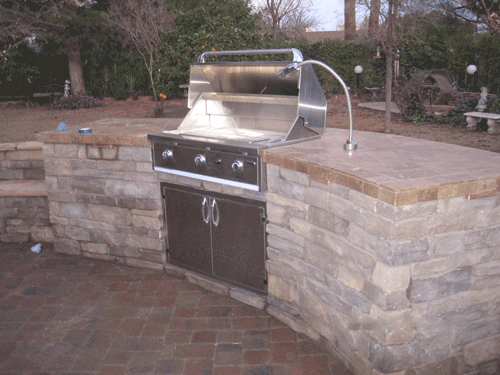 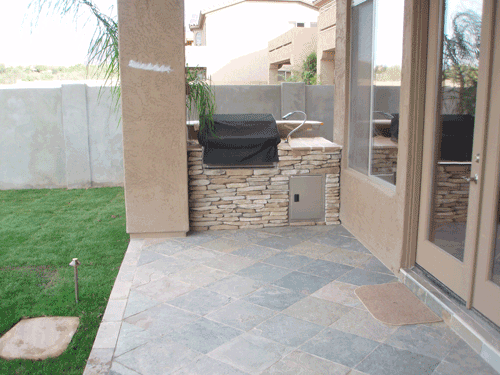 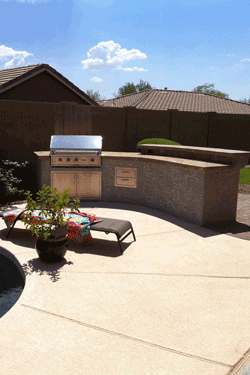 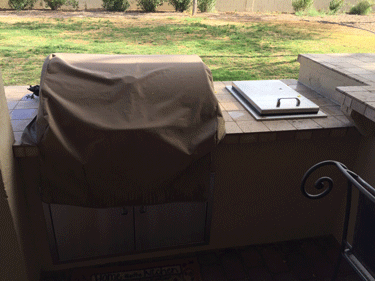 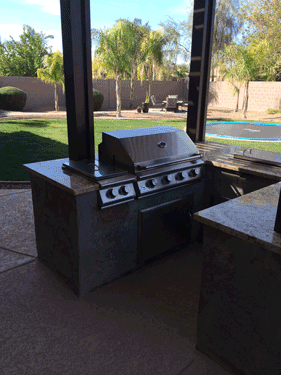 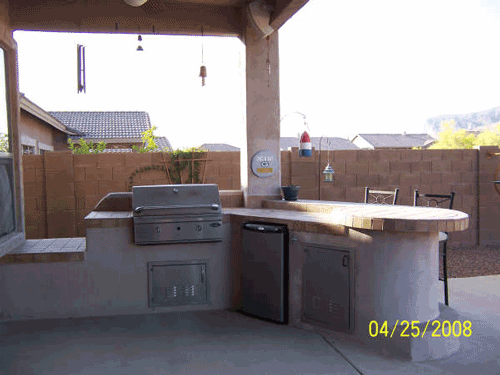 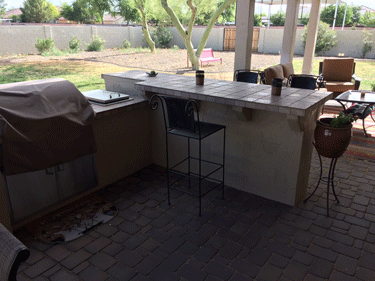 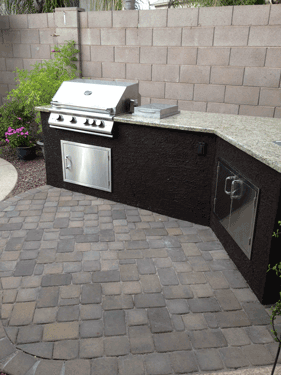 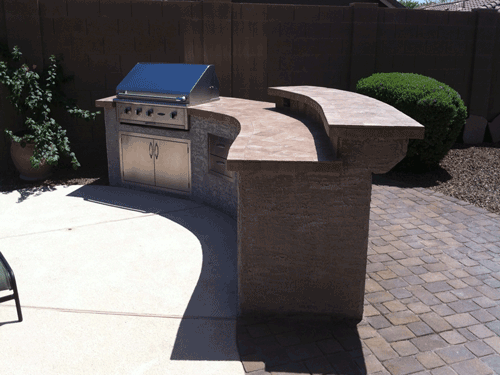 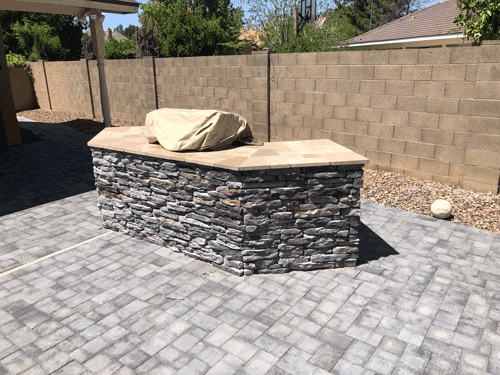 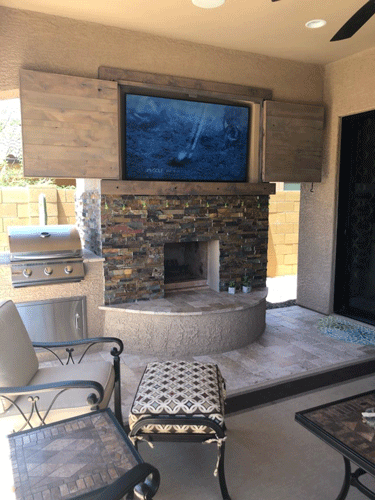 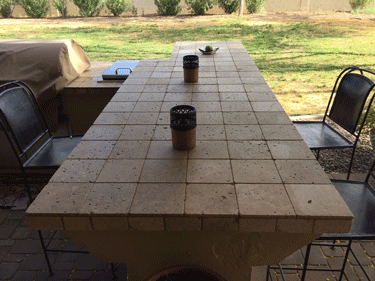 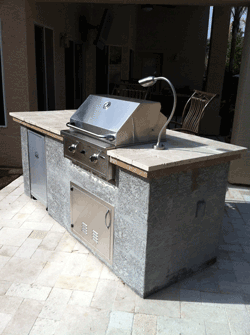 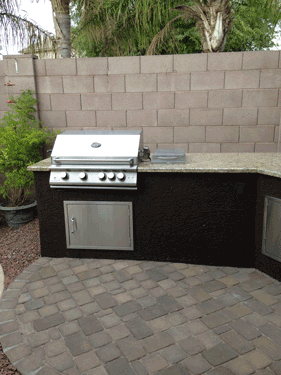 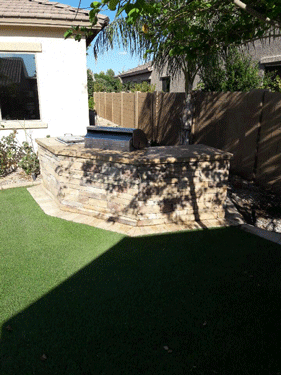 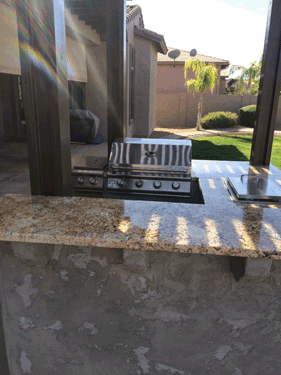 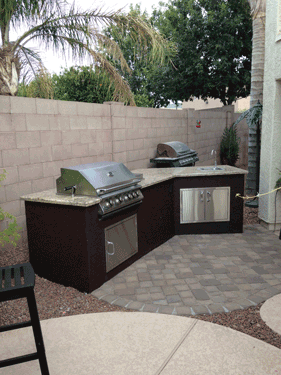 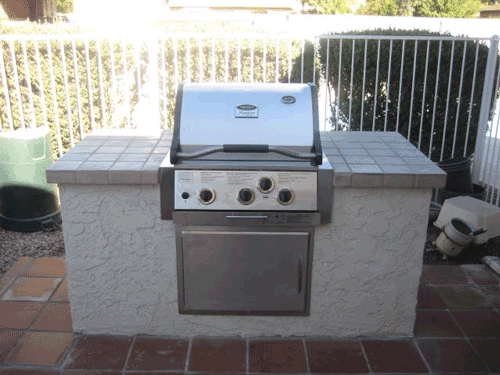 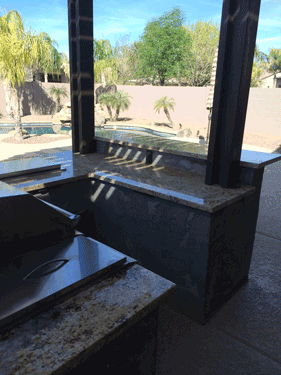 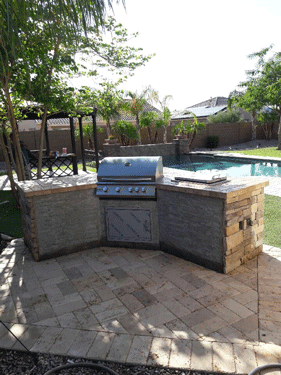 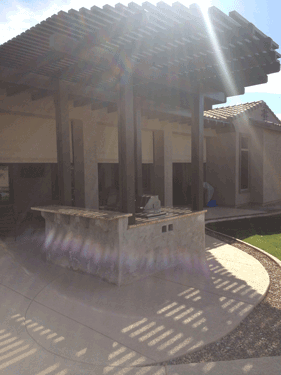 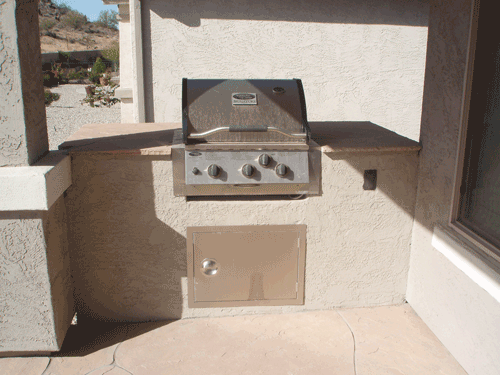 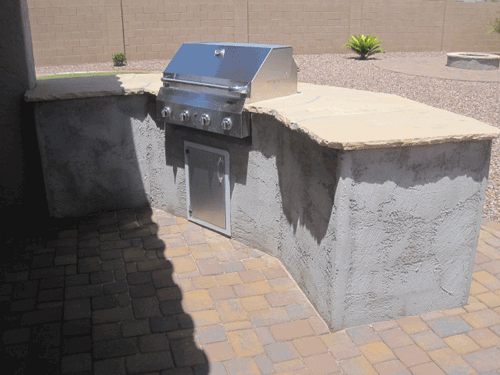 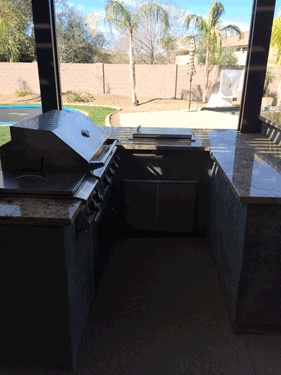 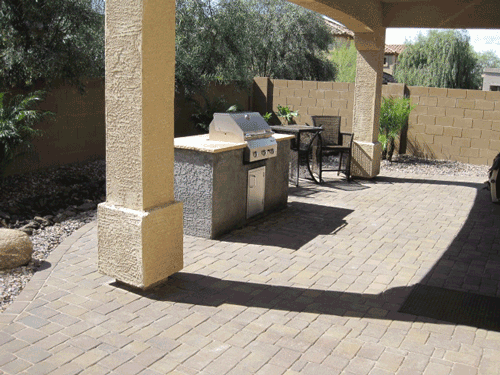 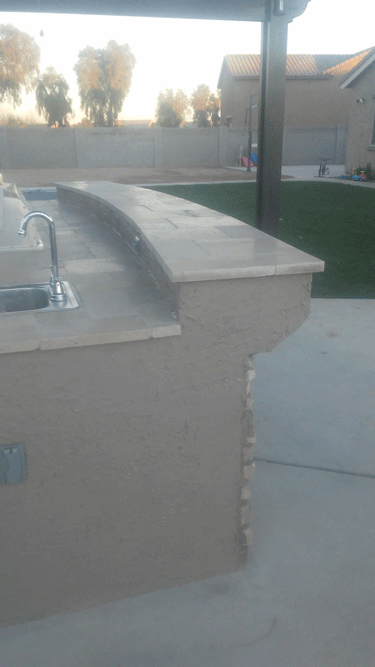 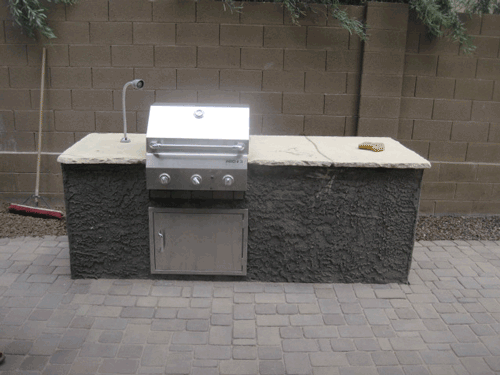 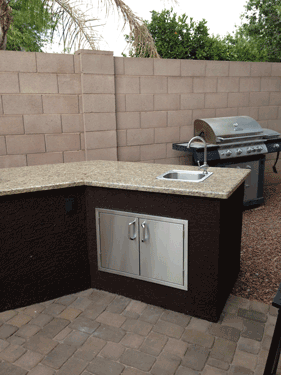 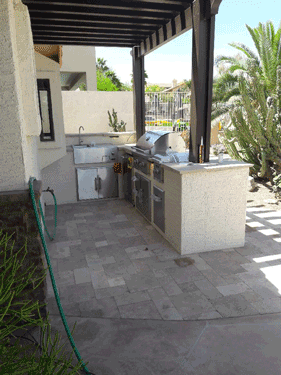 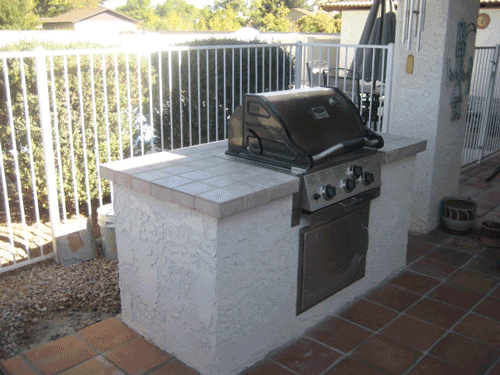 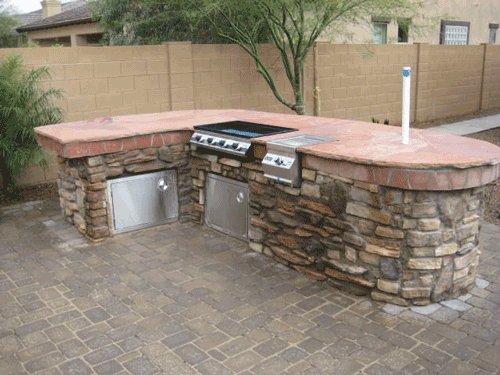 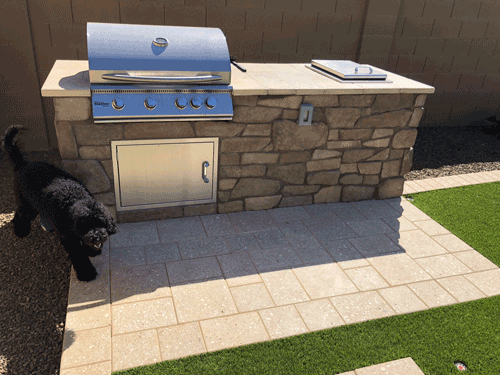 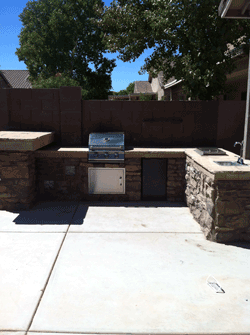 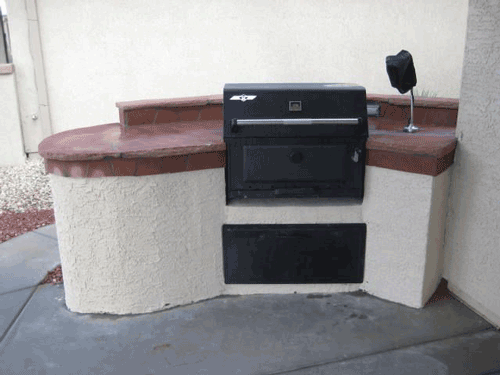 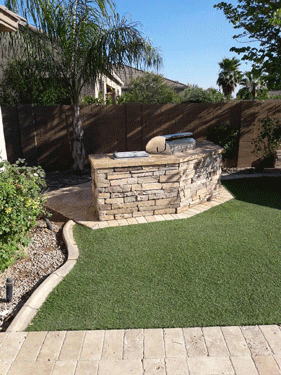 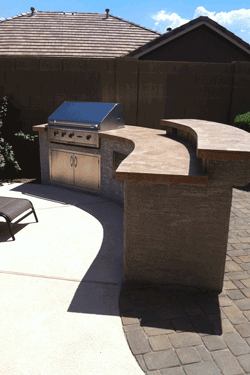 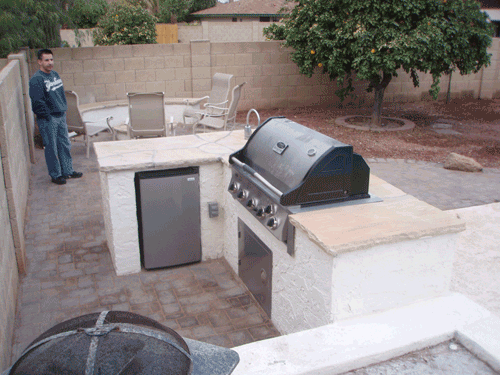 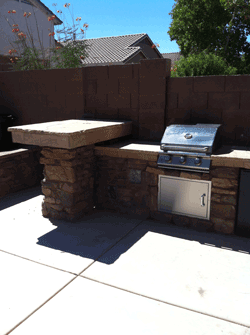 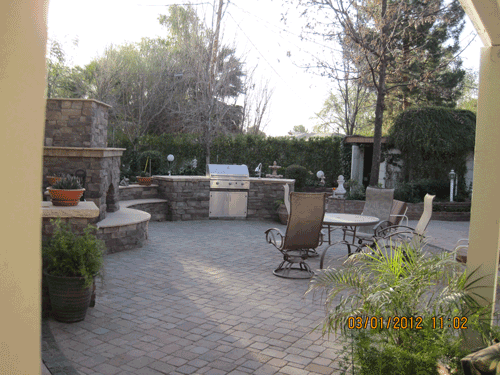 Griffin’s Desert Scapes, Inc. offers a wide selection in custom barbecues and outdoor kitchens. 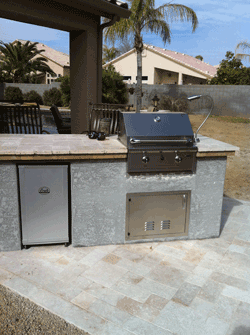 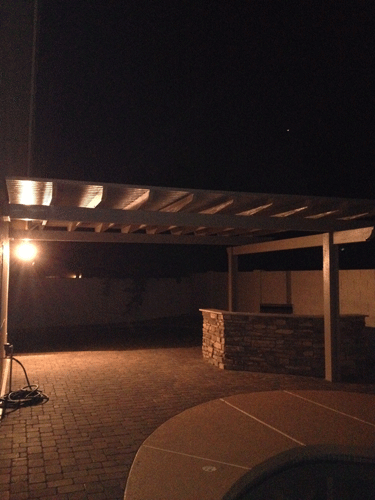 We have never built the exact same barbecue twice and each product is finely crafted into an amazing outdoor kitchen. 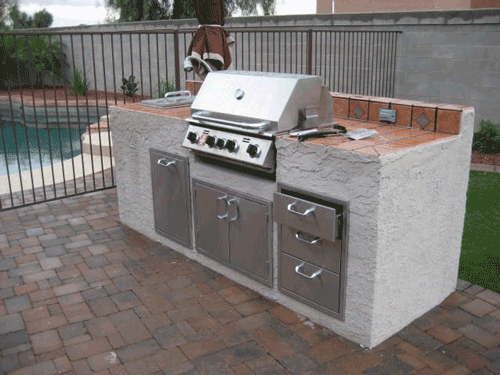 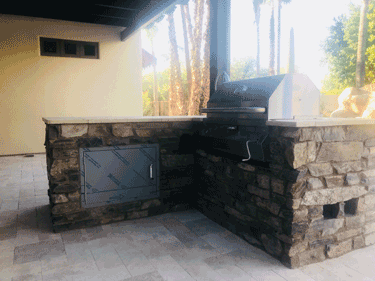 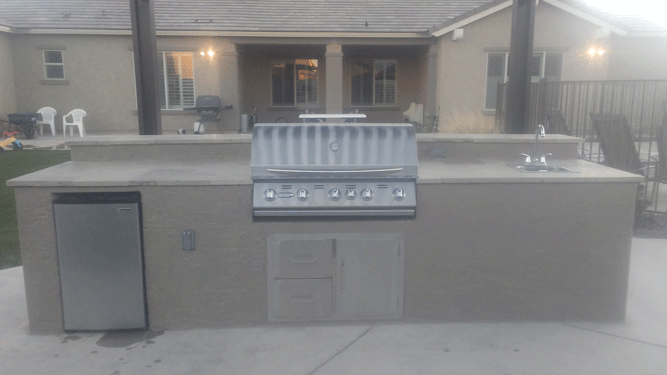 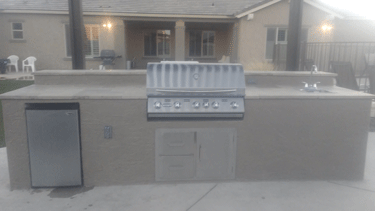 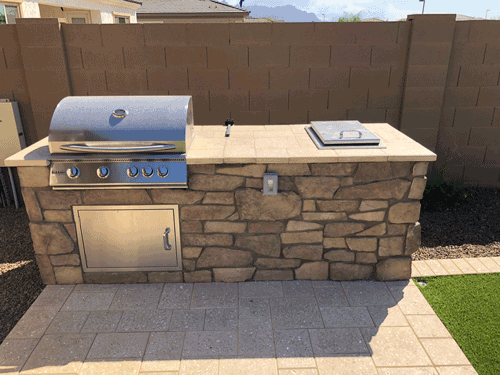 We build barbecue units that range from 5’ long to 20’long and include such additions as: propane tanks, natural gas lines, stainless steel access panels, stainless steel barbecue grills, stainless steel flex lights, louver lights, flagstone countertops, tile and granite countertops, kick steps, overhanging bars, sinks, refrigerator/freezers, electrical outlets, built in umbrellas, counter top ice bins/coolers, and anything else you can think of.